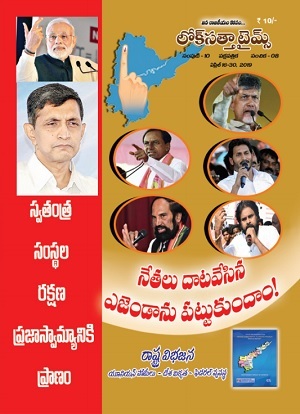 Lok Satta Party national President Dr. Jayaprakash Narayan will be visiting Khammam and Vijayawada on March 8 and 9. During his visit to Khammam on March 8, Dr. JP will be interacting with students at Sharada Engineering College at 10-30 a.m. and Sri Chaitanya College at 12-30 p,m. 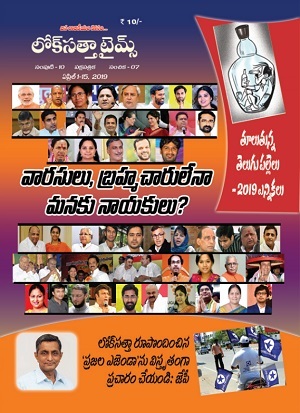 He will take part in a rally and address a public meeting at Ricab Bazar School grounds at 5-00 p.m.
During his visit to Vijayawada on March 9, Dr. JP will address a public meeting at 10-30 a.m. at Auto Technicians’ Hall in Autonagar and unveil a statue of the late Verghese Kurien, the father of the white revolution in the country, at 3-00 p.m.